Operating rooms are one of the highest-pressure settings in health care. A breakdown in communication during surgery can lead to serious negative outcomes for patients. According to The Joint Commission, communication failures are the cause of 60 percent of reported serious or fatal mistakes every year. 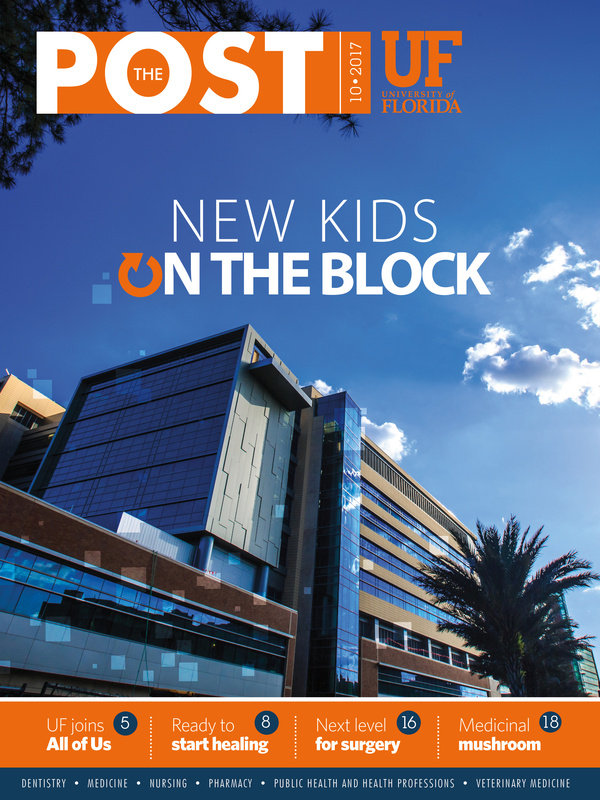 Scott Lind, M.D., chair of surgery at UF Health Jacksonville, and a team of residents are working to change this. The group is spearheading an innovative virtual reality training system to educate medical students about effective communication in the OR. Many ORs, including those at UF Health Jacksonville, use a surgical safety checklist of questions for each team member to answer before a procedure begins, with the goal of avoiding errors and improving patient safety. However, training students in this aspect of surgery, called the surgical timeout, can be difficult. data-gallery This is where virtual reality, or VR, comes in. Before a surgeon comes into the OR, they need to learn how to do the procedure in a simulated environment. These types of simulations offer the best training for novice learners, such as new nurses, surgical techs, medical students, and anesthesia and surgery residents. Set up in an unused OR inside the Outpatient Surgical Center in the Clinical Center at UF Health Jacksonville, three virtual humans surround a table with a simulated patient. They play the roles of surgeon, anesthesiologist and nurse. They’re assembled using 40-inch televisions mounted on rolling stands, with HDMI connections to a computer with Microsoft Kinect 2 software. They can speak and reply, have facial expressions and maintain eye contact with students while they train. Whitney Goering, M.D., is the research assistant who constructed the virtual humans. She conducted a study with 11 participants — four surgeons, three nurses, two medical students and two anesthesiologists — who completed a surgical safety checklist scenario in the OR with their virtual team. Her study found these virtual humans demonstrate high face validity, meaning they are lifelike, and the human participants interacted with them like real OR team members. From this sample, it seems VR could become a valuable, standardized method of improving communication and patient safety. “First, we are going to study the technology and get feedback, modify it and then integrate it into the health profession’s curricula. 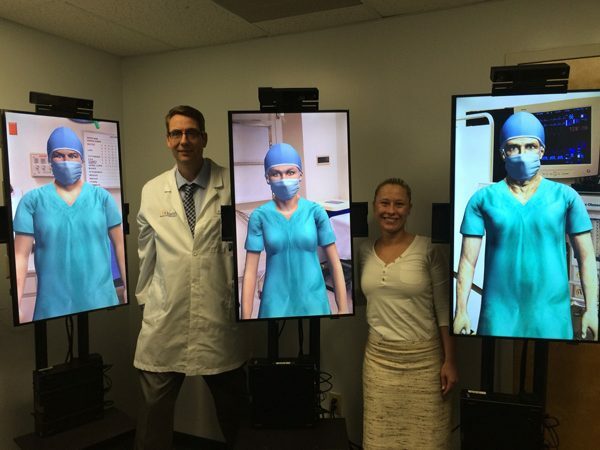 We think VR will be an active, experiential requirement for all health care professionals who work in an OR at UF Health and perhaps more widely than that,” Lind said. Lind, Goering and the research team are awaiting grants to continue improving the system before using it to formally train students. Currently, the virtual humans are designed to improve the communication skills of students, but Lind would also like to see them help practicing physicians enhance their verbal communication skills during more unusual circumstances. Lind credits Goering and others for the progress on the virtual humans so far, and says their dedication to this project reflects their commitment to patient safety. It’s also a way to invest in future health care providers who will be educated at UF Health Jacksonville.